Many players, those that are older, may remember the once mega popular platformer adventure genre originating since the beginning of the game consoles 90s. Quite a long time platformers remained in the shadows and came to the fore serious simulators and furious shooter and seemingly outlived their adventure platformers, but with the development of mobile platforms this genre was reborn. 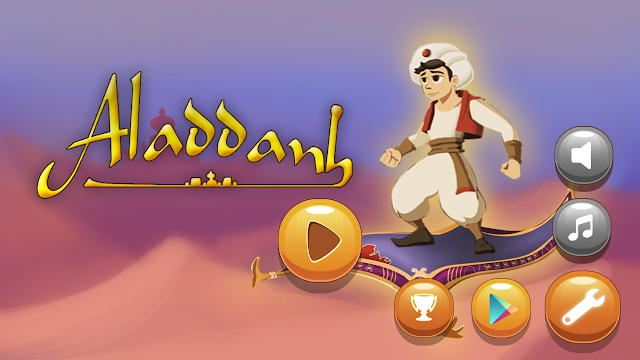 Super Aladdin Adventure - adventure platformer based on the famous cartoon. In general, the game has undergone a fairly significant cosmetic "repair" got a new graphics and oriented by touch-screen controls, Super Aladdin Adventure Retaining the classic game mechanics.